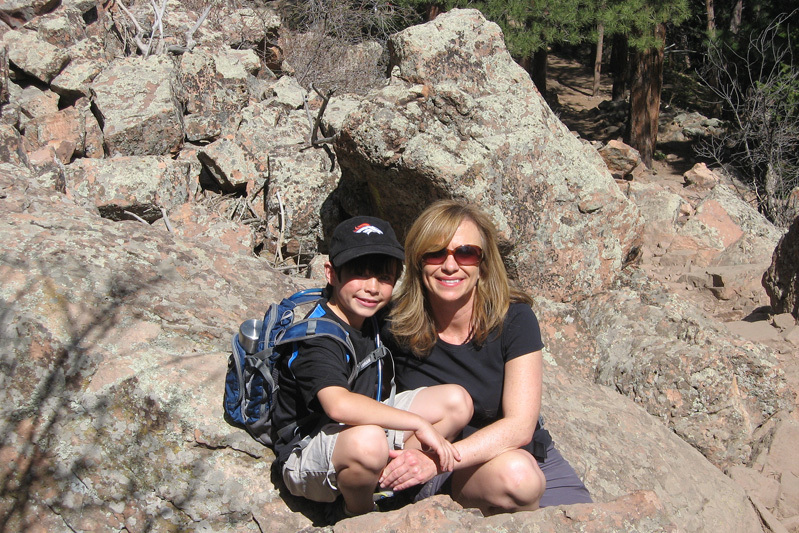 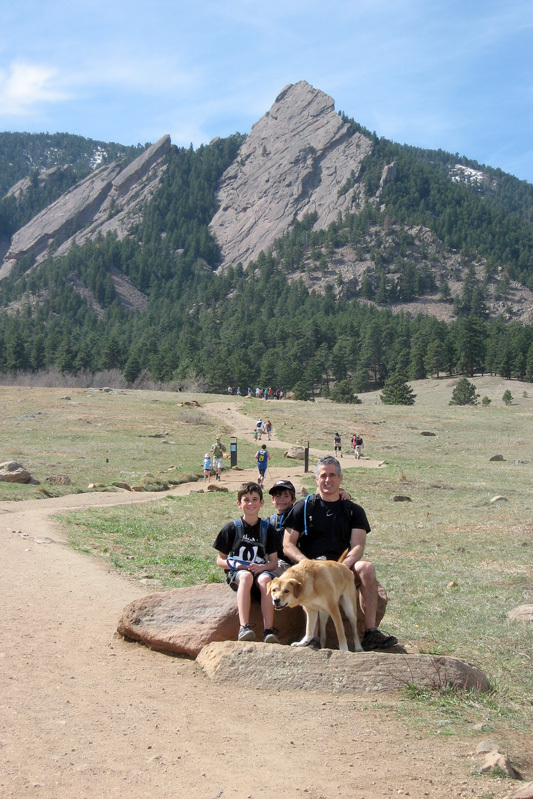 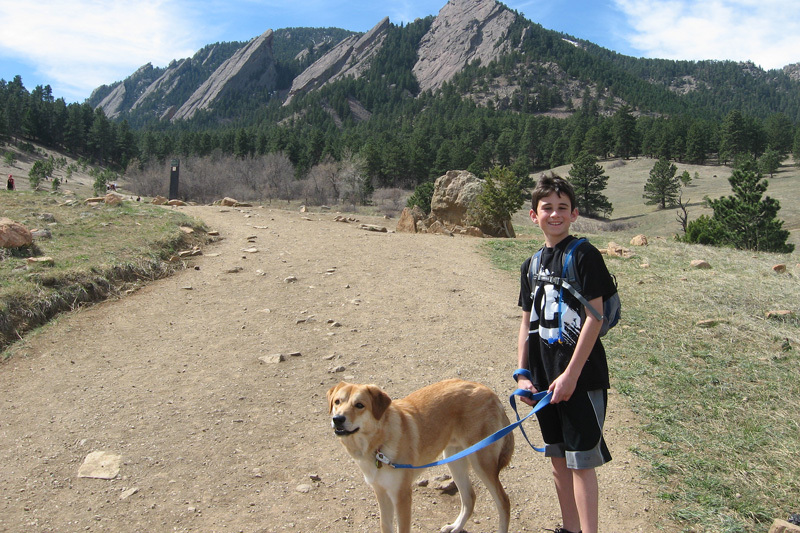 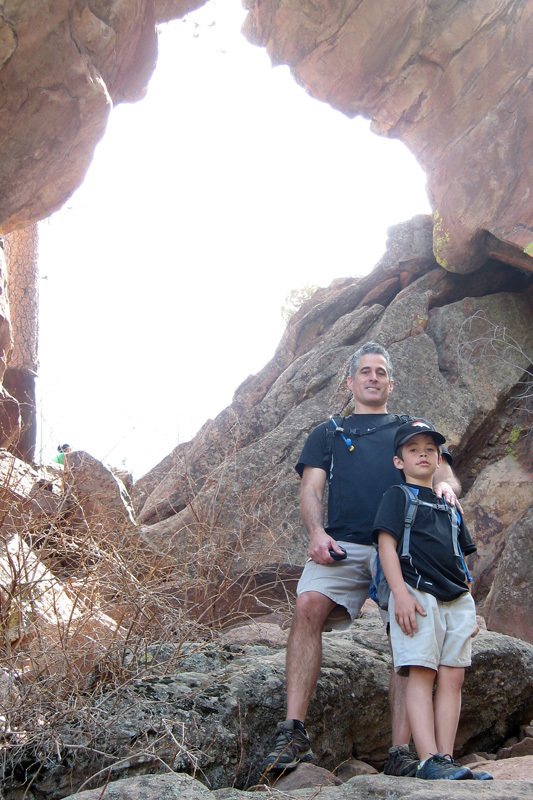 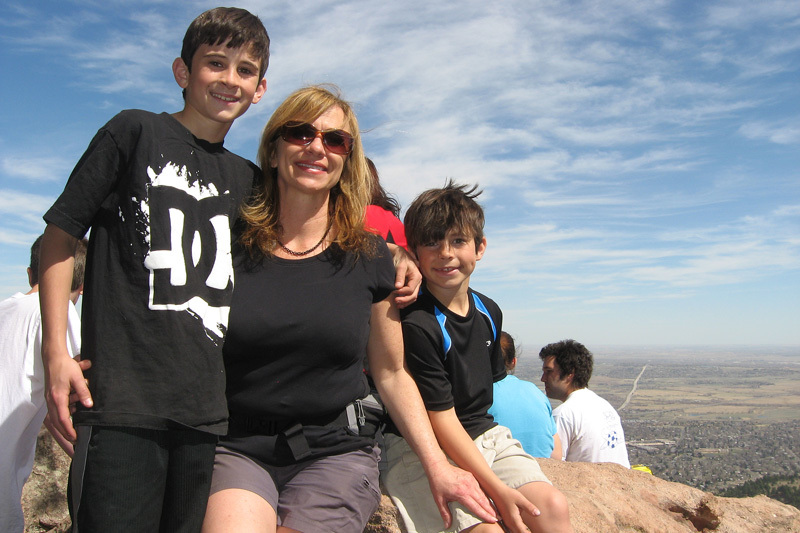 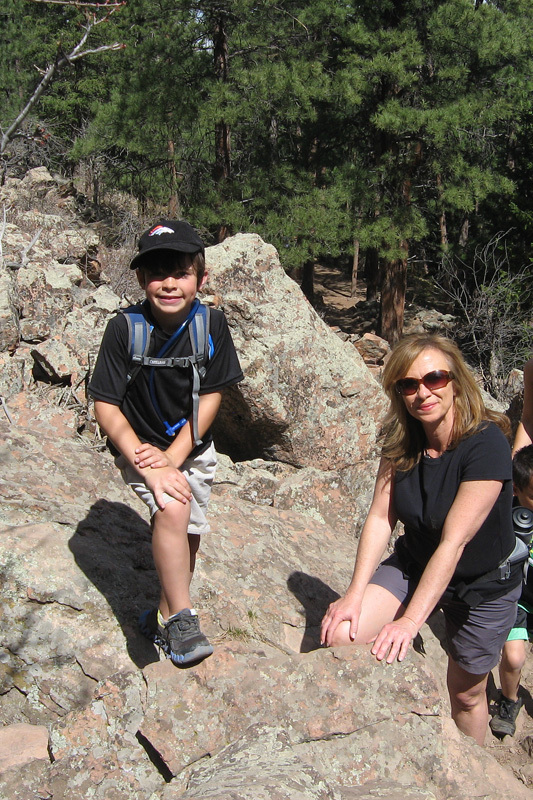 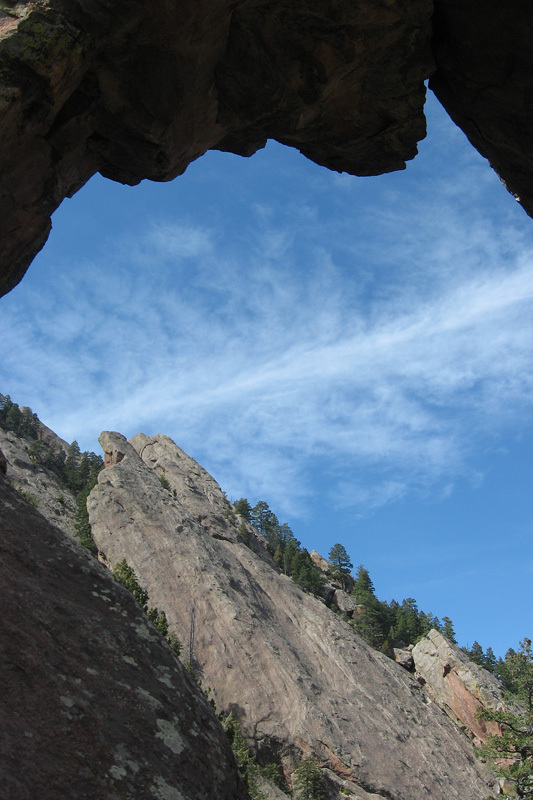 We did our first Spring time hike of the year to the Royal Arch in Boulder from Chautauqua Park on a picture perfect Saturday morning. 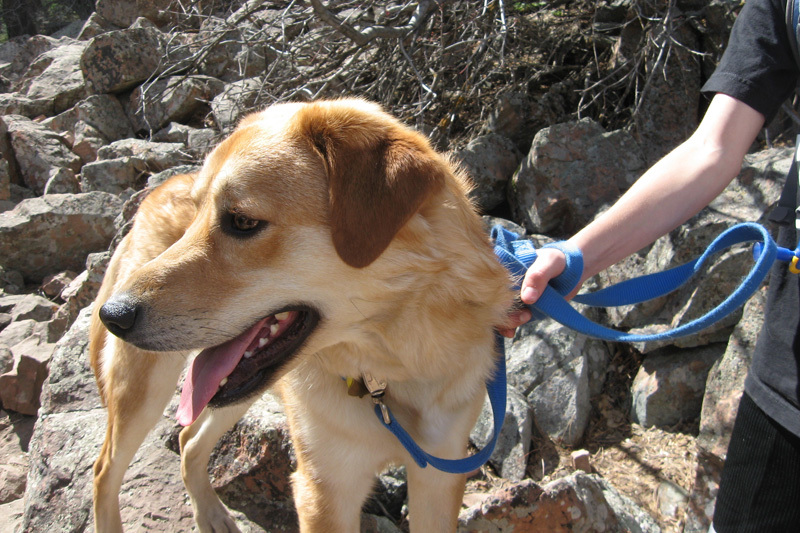 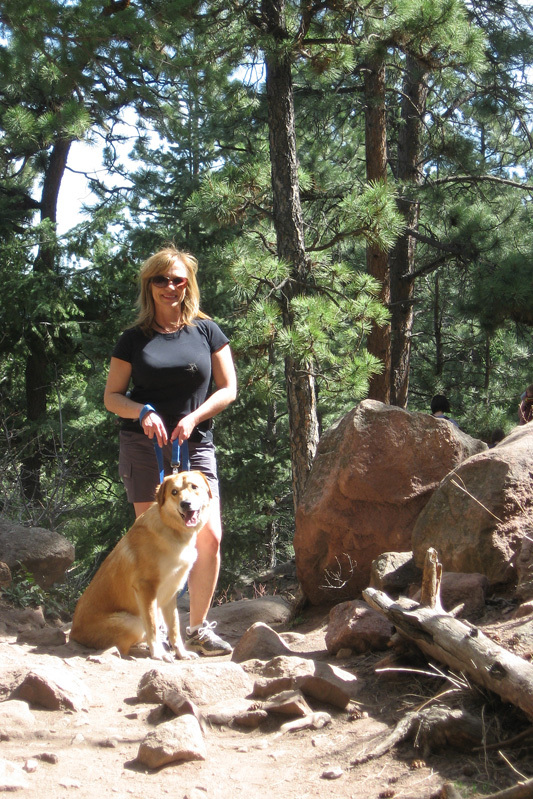 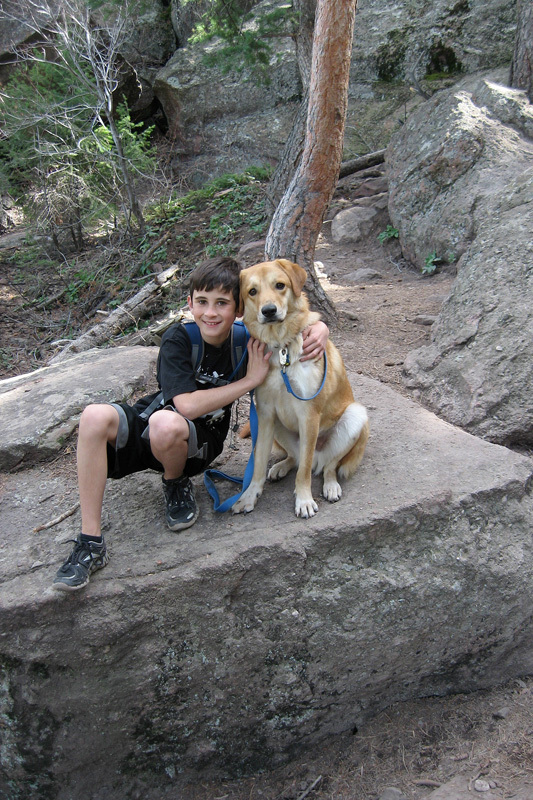 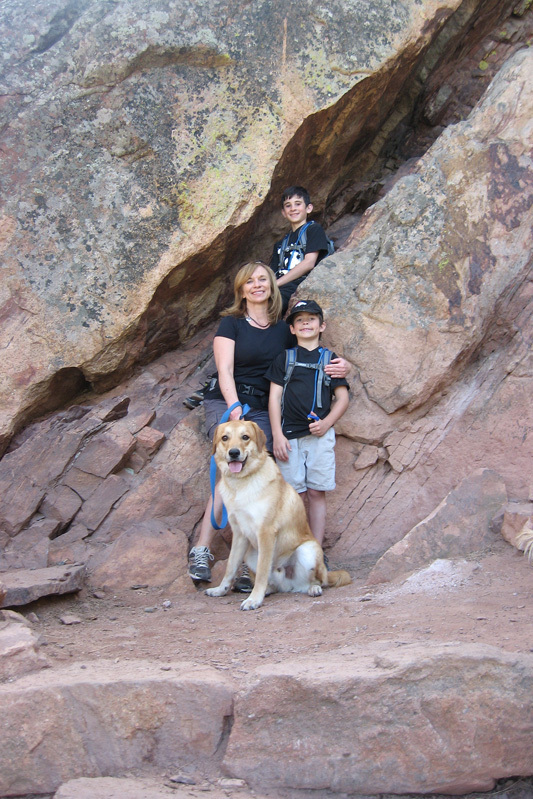 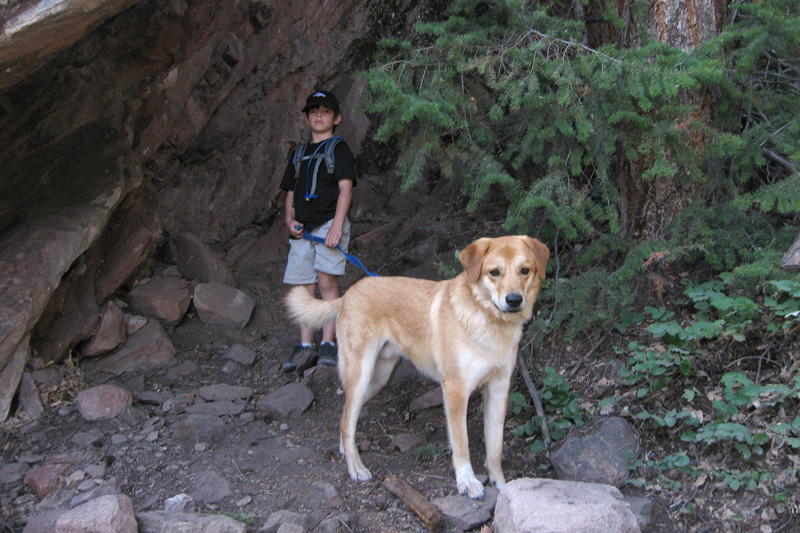 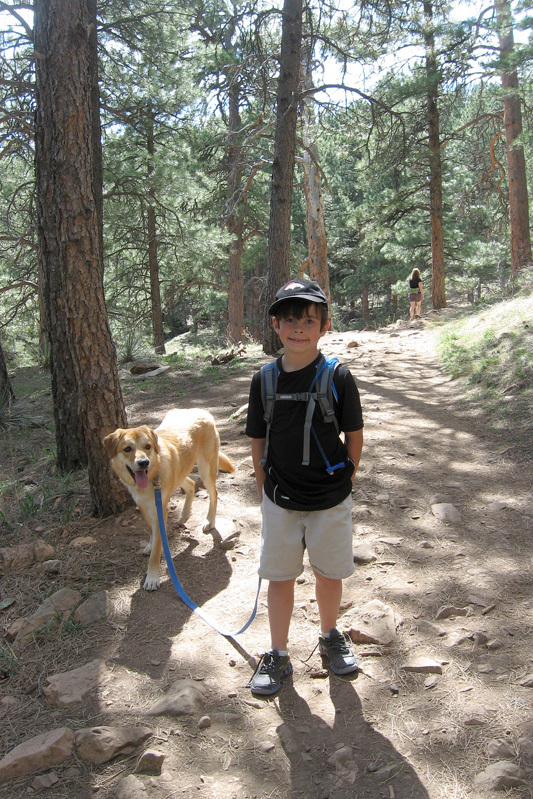 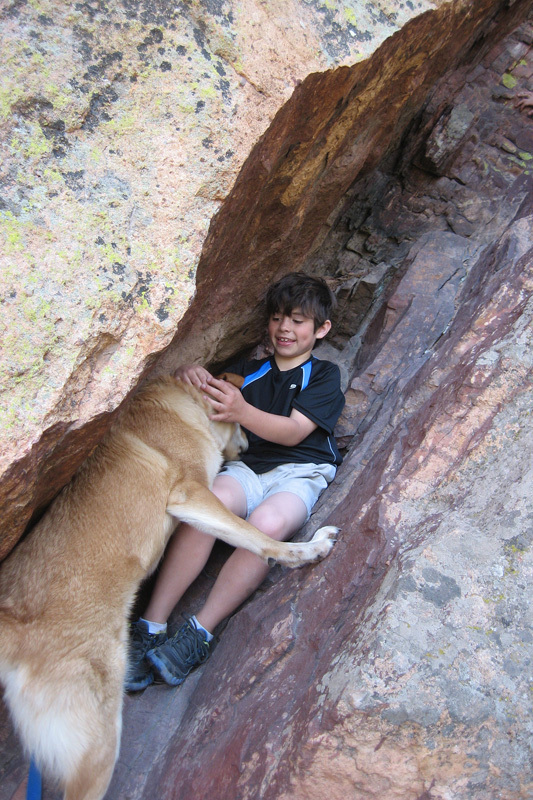 This was also Lucky's first hike with us and he proved himself most trailworthy. 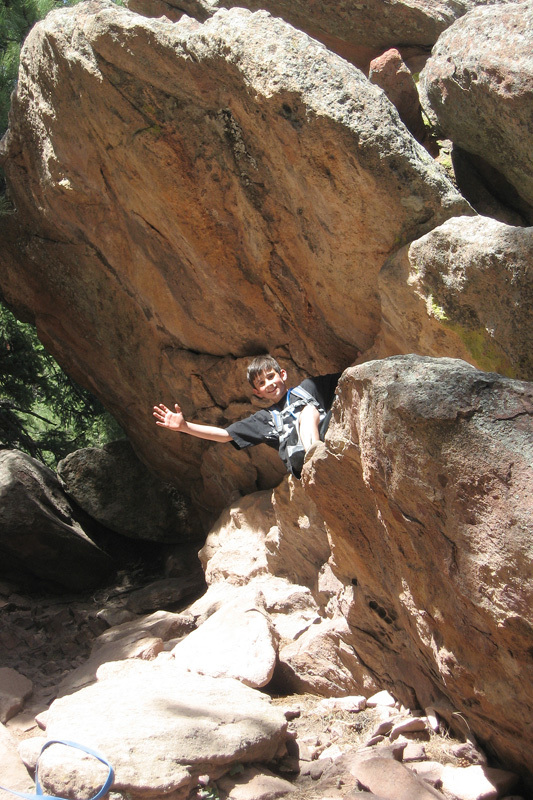 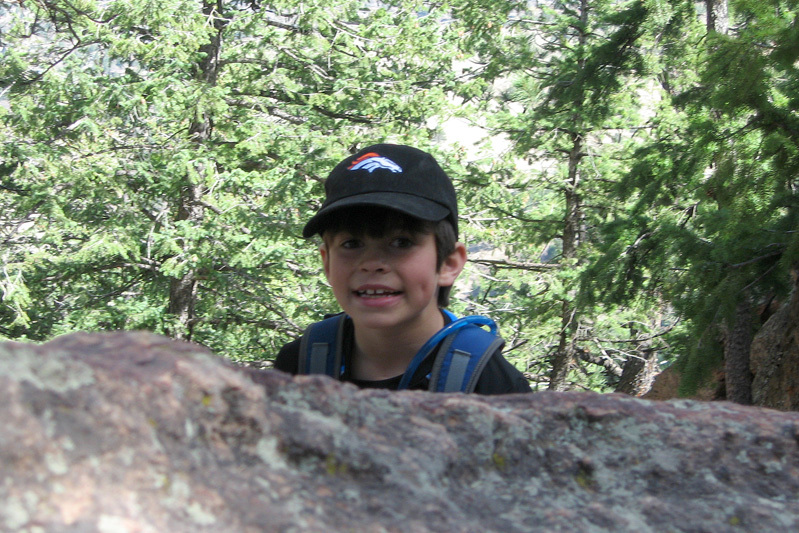 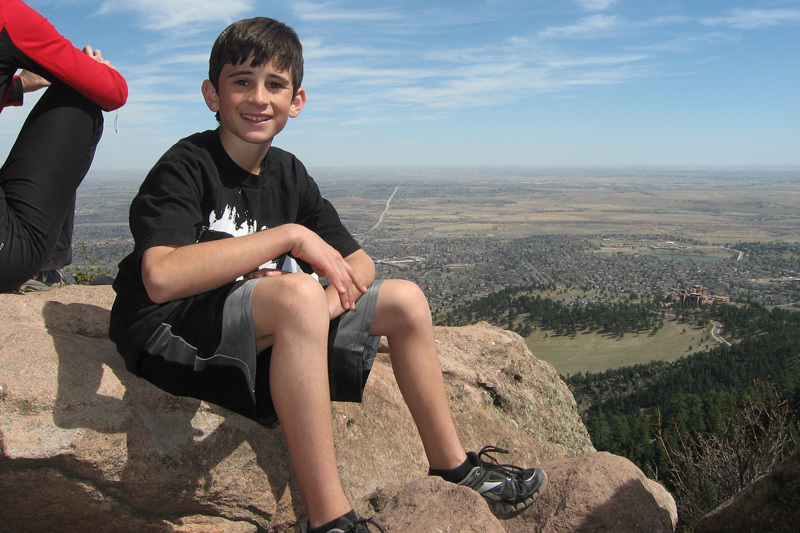 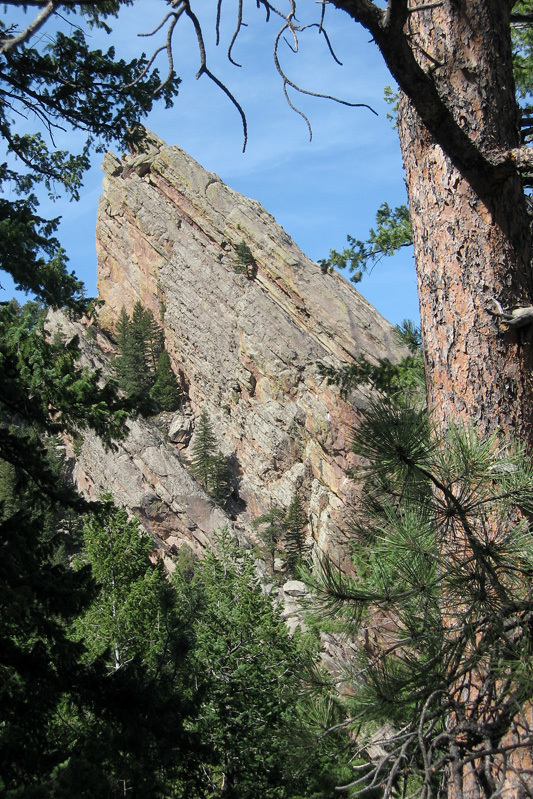 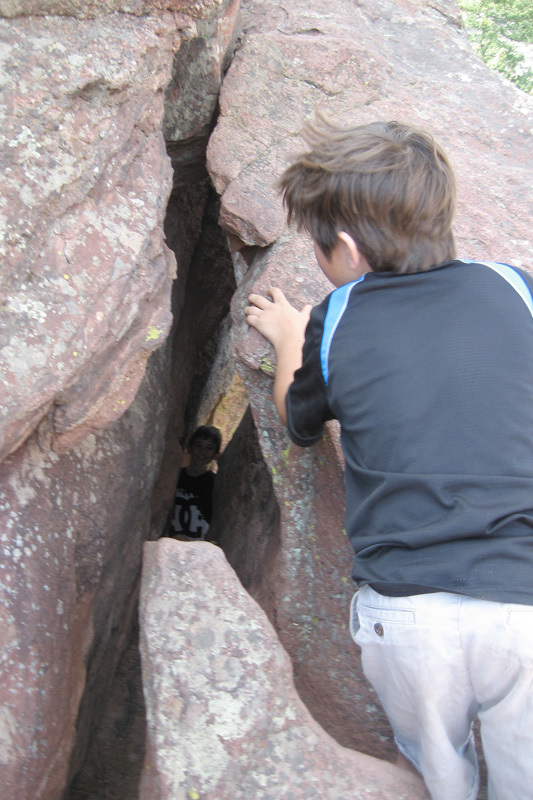 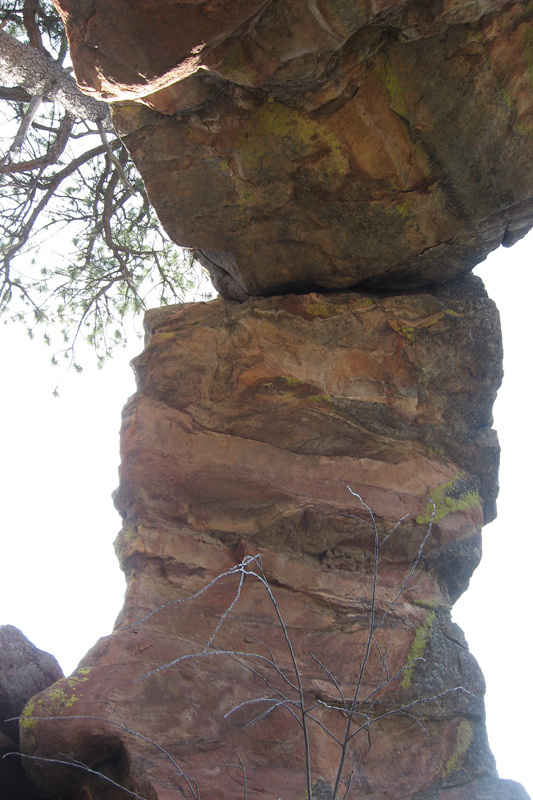 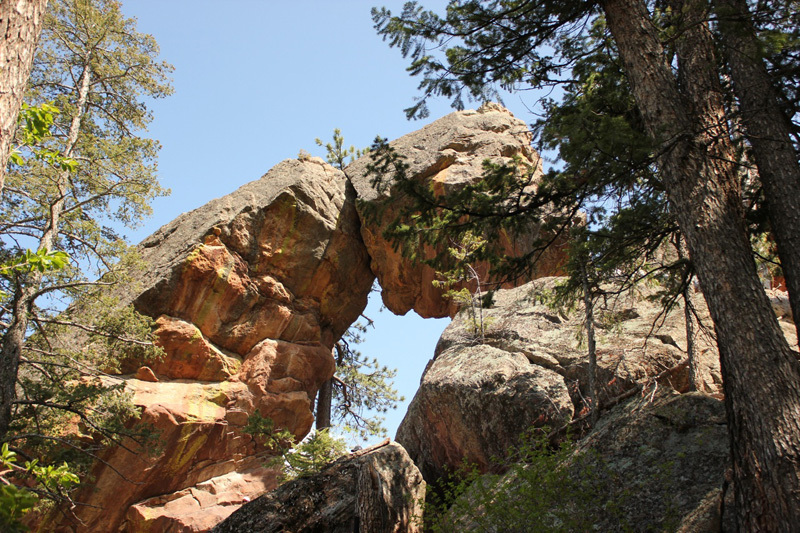 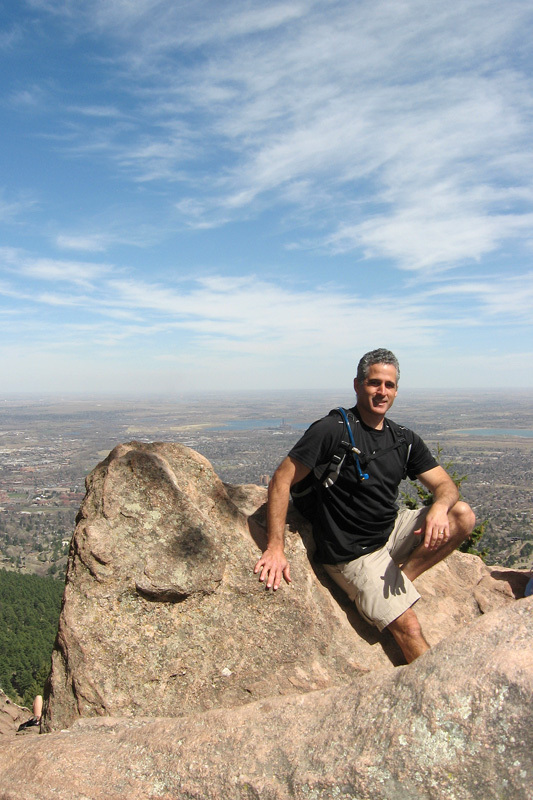 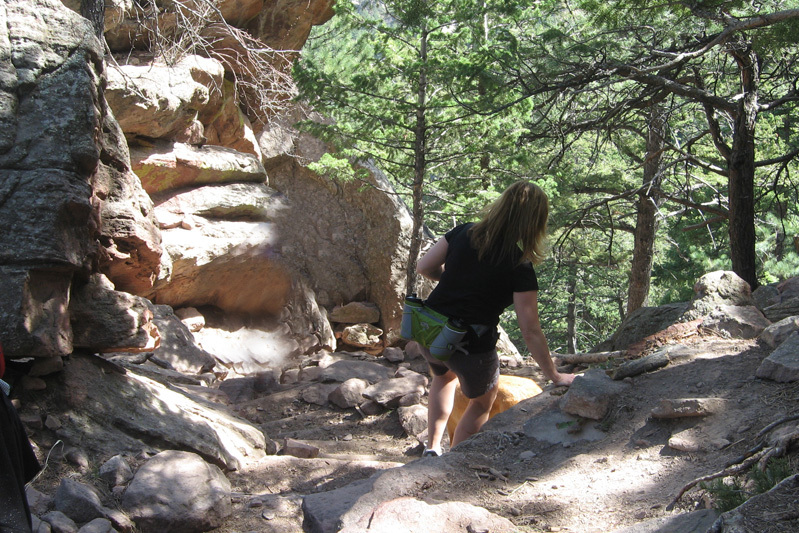 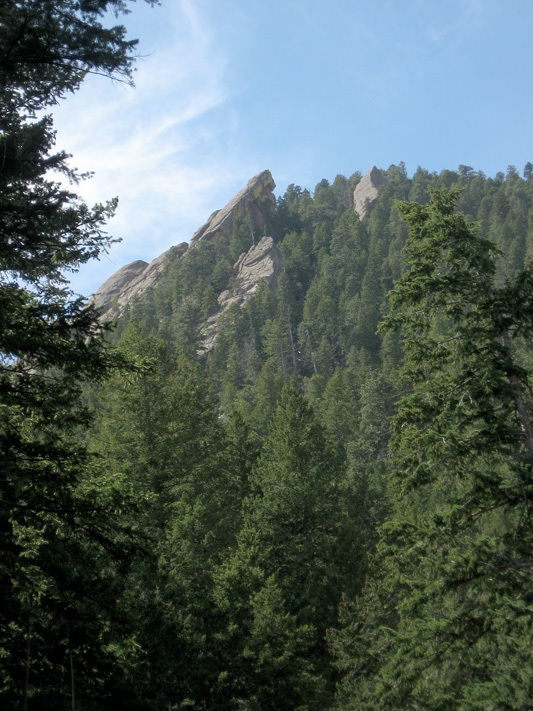 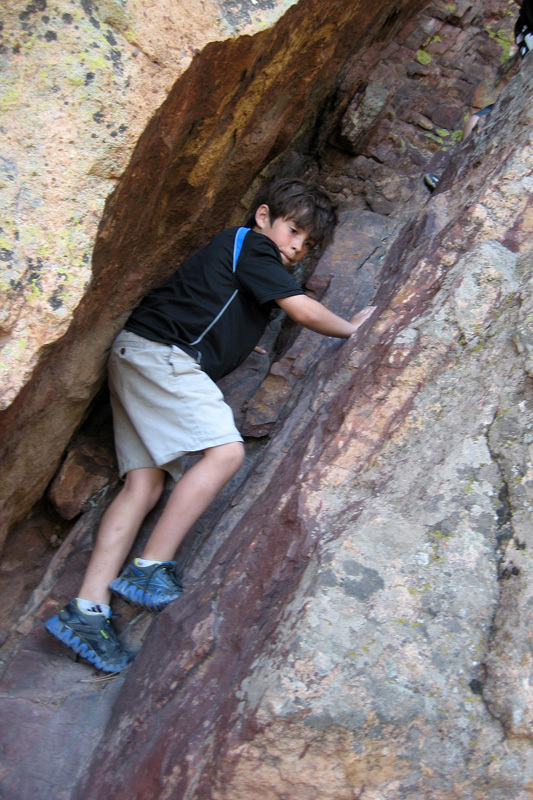 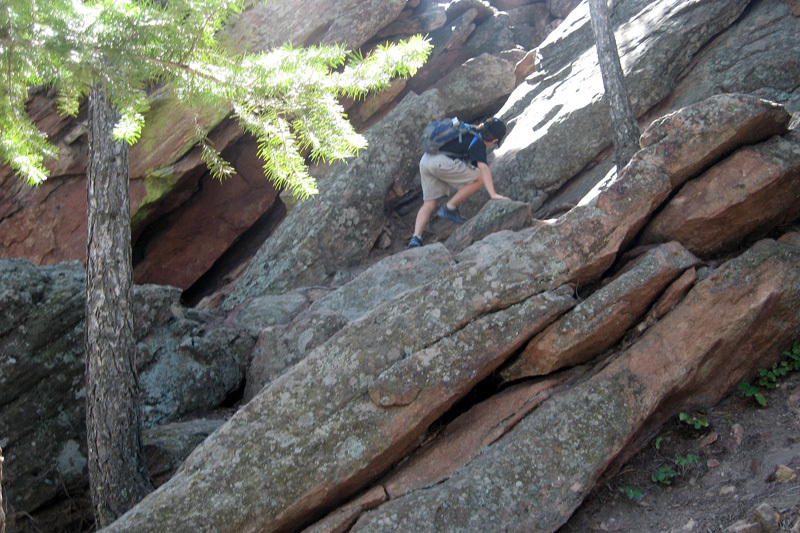 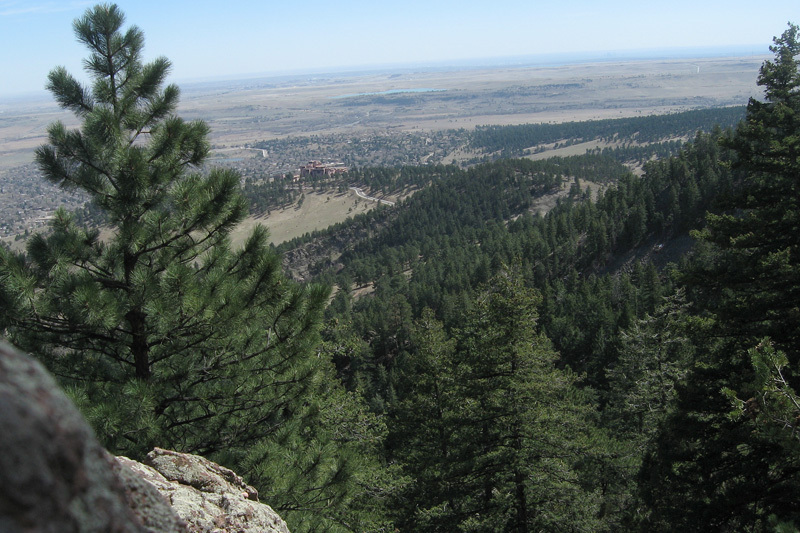 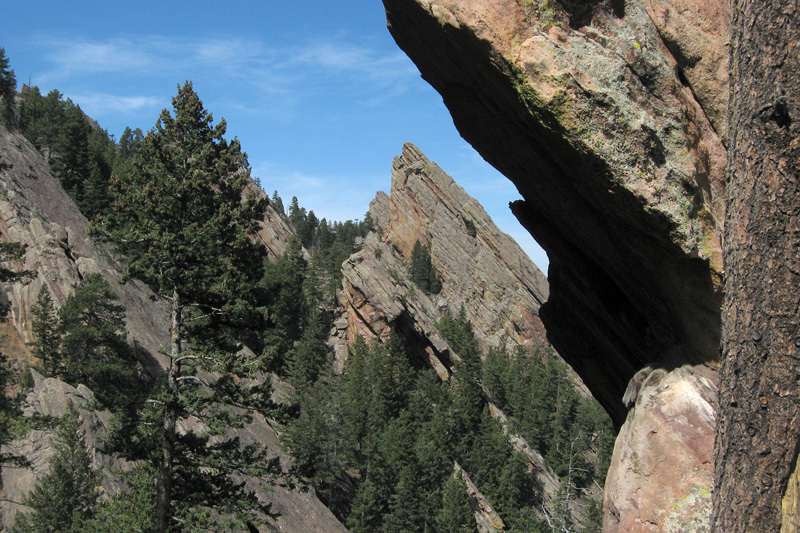 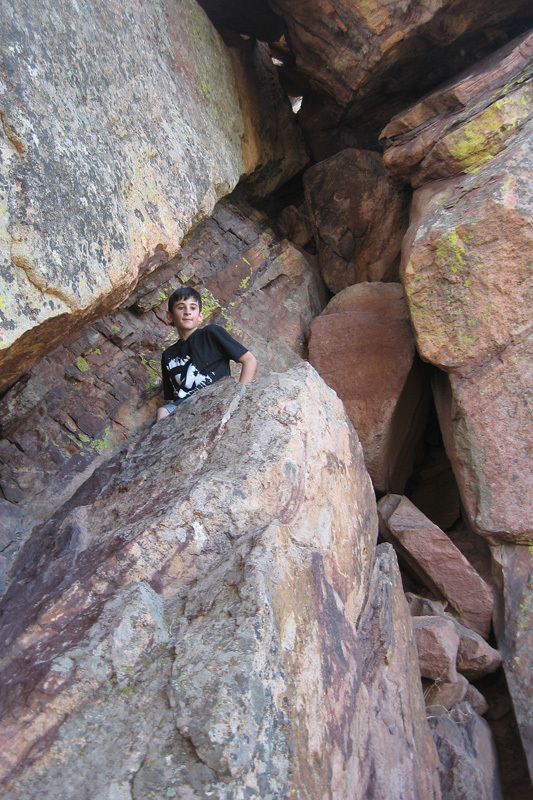 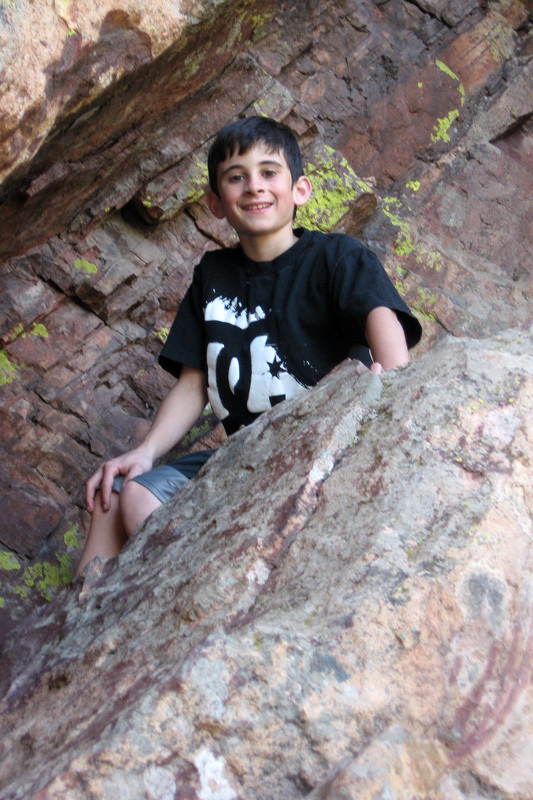 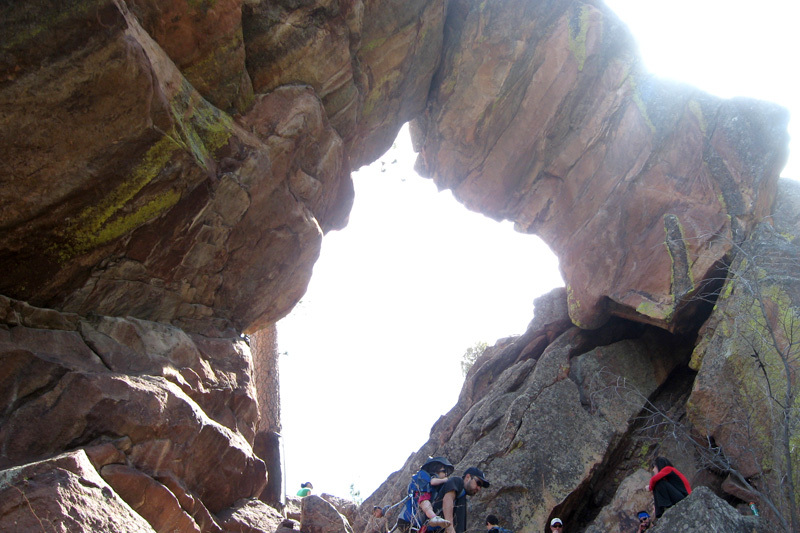 The Royal Arch is a popular and at times mildly strenous hike which starts from the Chautauqua Park meadows and culminates at a natural rock arch formation just below the summit of the fifth flatiron on Green Mountain. 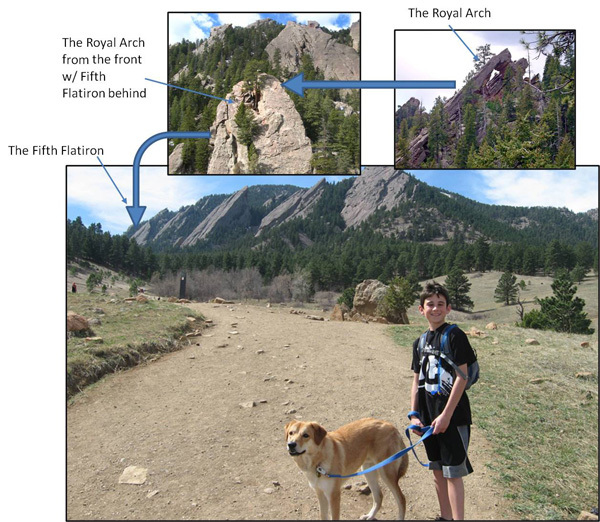 The above insets provide some context for the hike. 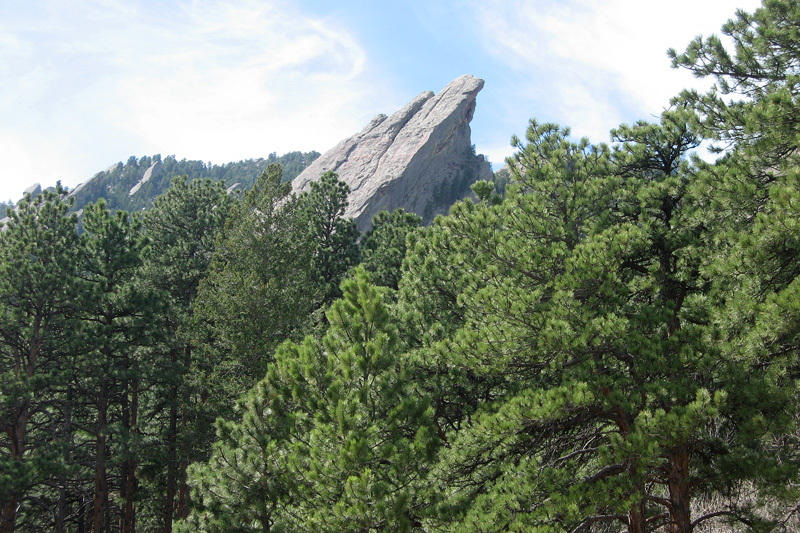 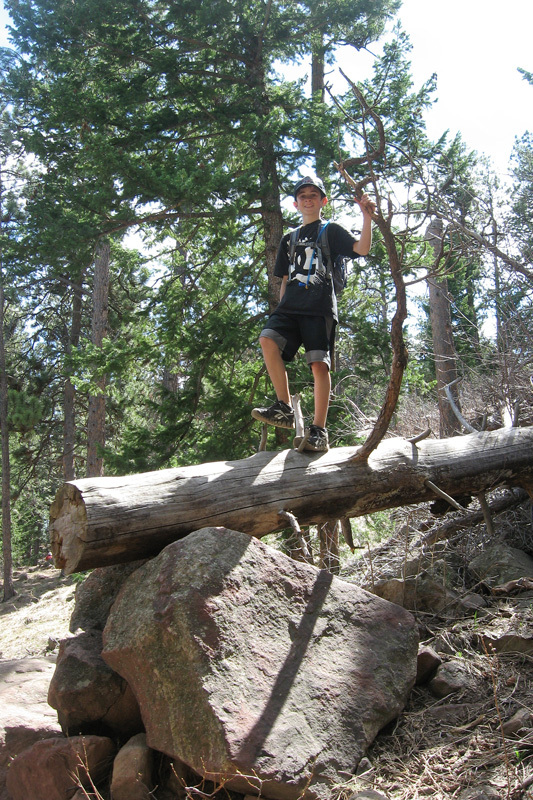 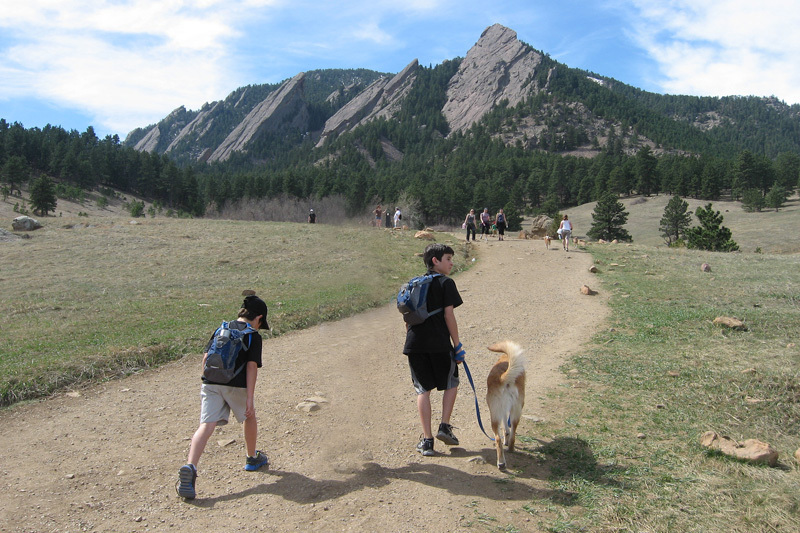 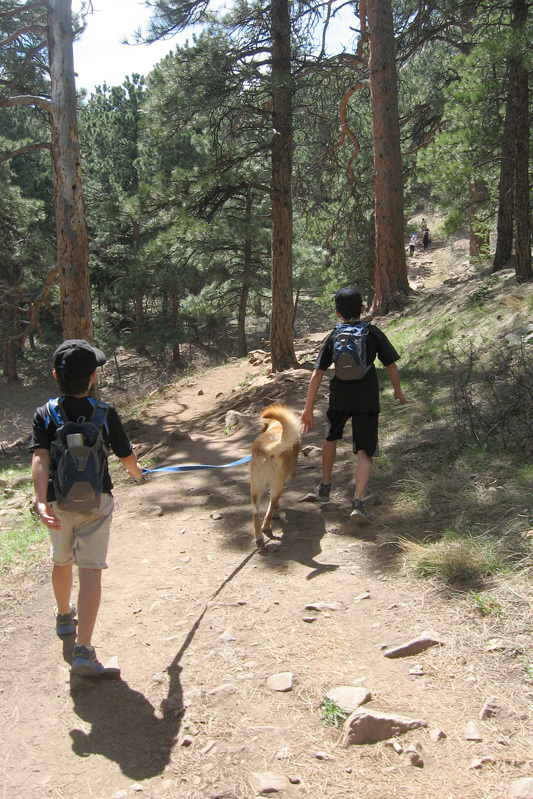 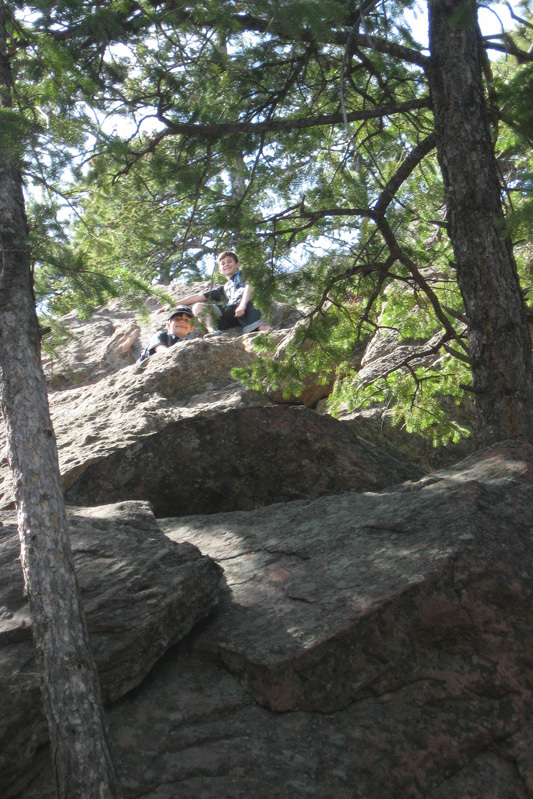 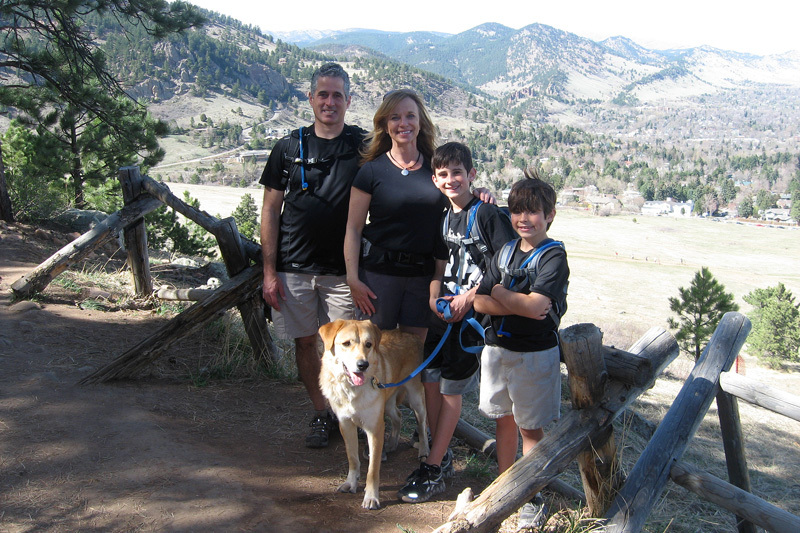 We started on Chautauqua Trail and then took the Bluebird-Baird Trail to the Royal Arch trail which proceeds south and then climbs towards the top of Green Mountain. 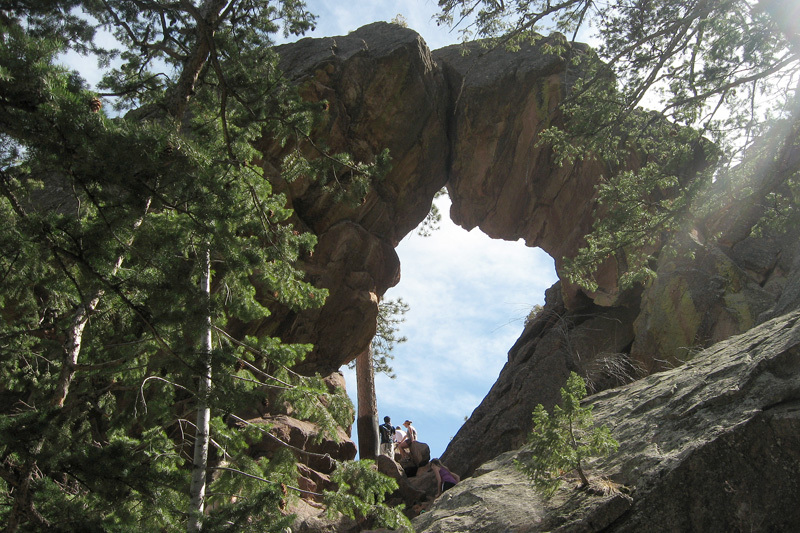 There were two really magnificent spots for views - the Arch itself and also earlier at Sentinel Pass.